With the addition of the Center Stage, Rakrakan Festival goers may now enjoy an even wider range of genres from their favorite solo artists. With this new stage we will give you iconic performances from Gloc 9, Loonie, Ron Henley, Dello, Smugglaz and also classic performances from the ultimate trio, Freestyle, Side A and South Border. 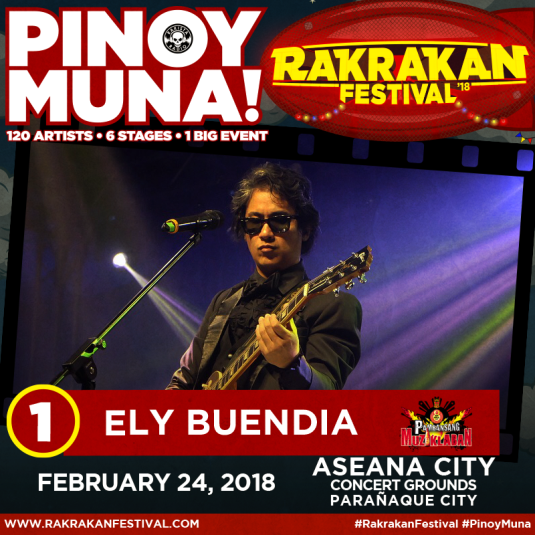 Ely Buendia will also be headlining this brand new stage along with his greatest hits like Ang Huling El Bimbo, Ligaya, Magasin and many more. 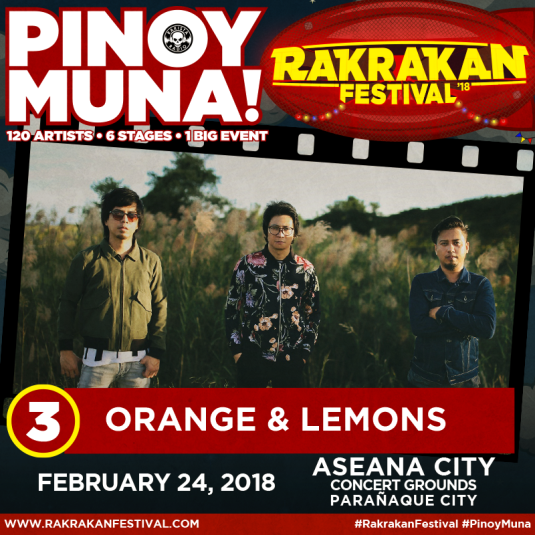 We will also witness the comeback performance of Orange and Lemons with its original frontman, Clem Castro. 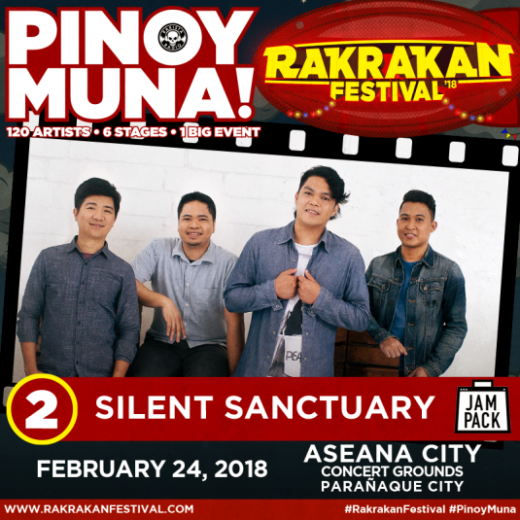 And for the first time ever, Silent Sanctuary is going to perform in Rakrakan Festival! And of course, we will still have the Move Stage along with Sponge Cola, Barbie Almalbis, Gracenote, Moonstar88, Urbandub, Hale, 6Cyclemind, December Avenue and Mayonnaise. 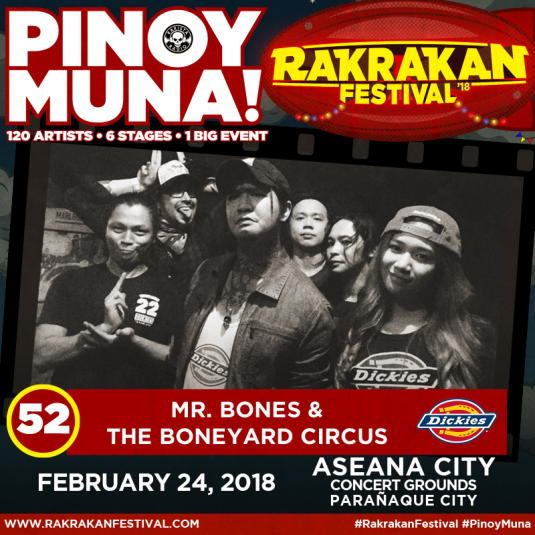 On the Mosh Stage, Mr. Bones and the Boneyard Circus, The Wuds, Sky Church, Philippine Violators, Slapshock, Kwjan, Philia, Wilabaliw, Basti Artadi, the 2018 Muziklaban Champion and many more heavier acts will give us performances that will surely take us head bangin’ and slammin’ all night long! 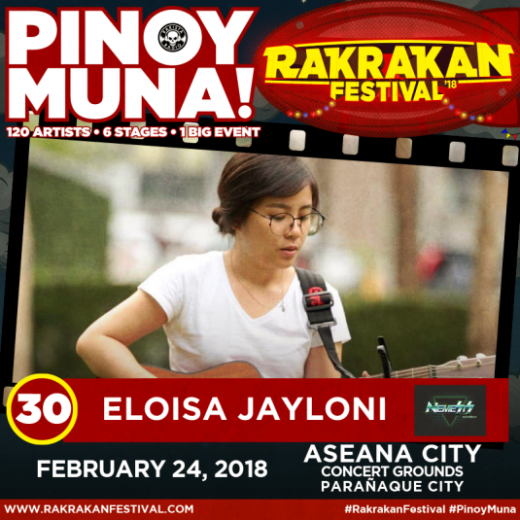 New and upcoming artists are going to dominate the Indie stage, like Ben&Ben, IV of Spades, Agsunta, Leanne & Naara, Clara Benin, Reese Lansangan and more. 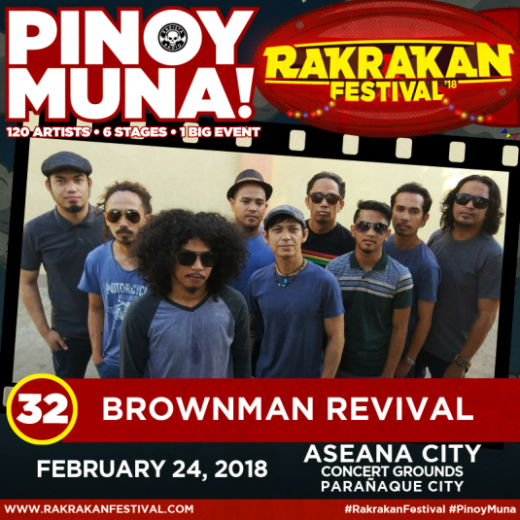 Brownman Revival, Kokoi Baldo, On The Spot, Miko Suave and many Filipino reggae and ska artists will bring in the good vibes at the Groove Stage. 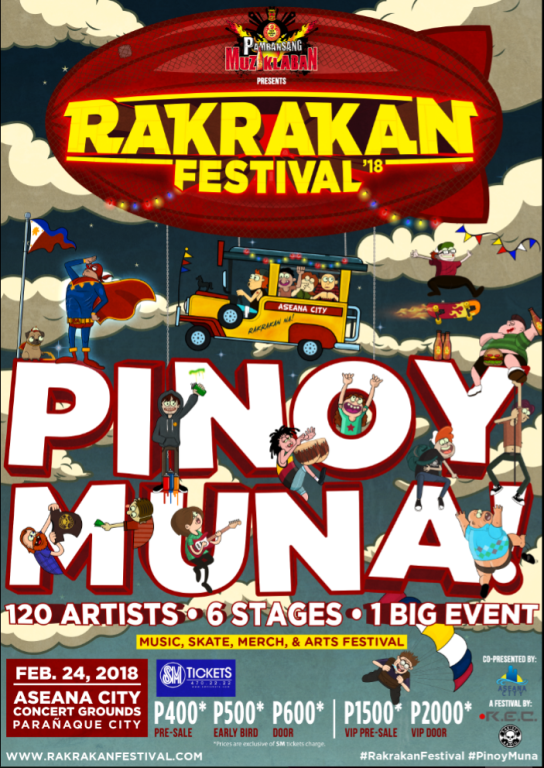 – a staple since 2013, the skateboarding exhibition and competition features a free-for-all skateboarding area for attendees, with freebies and prizes at stake for contest participants in several categories including Best Run and Best Trick. 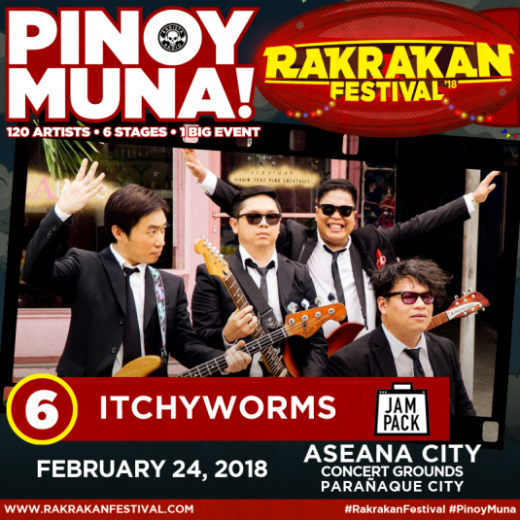 – ten 5-member teams from top universities like University of the Philippines, De la Salle Unviersity, Ateneo de Manila University, University of Sto. Thomas, University of the East, MAPUA, Lyceum of the Philippines University, Pamantasan ng Lungsod ng Maynila and many more are going to compete and showcase their creativity through Street Art and will be judged based on their originality style and design. 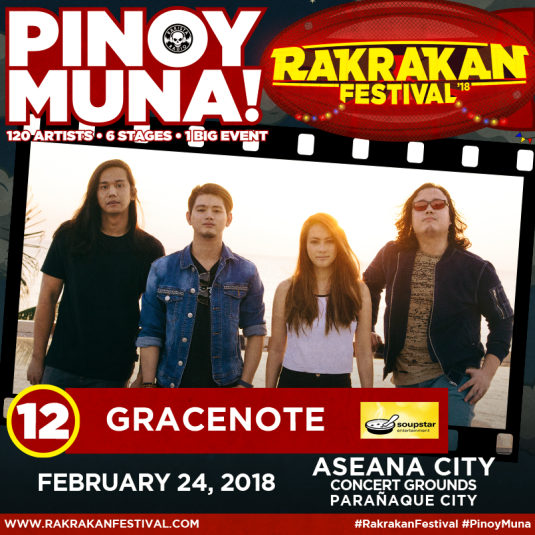 In addition, a “freedom wall” will be setup for all guests who wish to express their creativeness and leave their impression for future generations of OPM supporters. 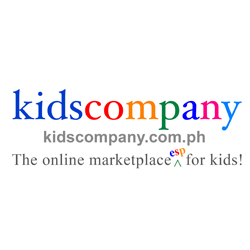 – currently the largest congregation of indie merchandisers in Metro Manila, with over 70 brands participating annually. 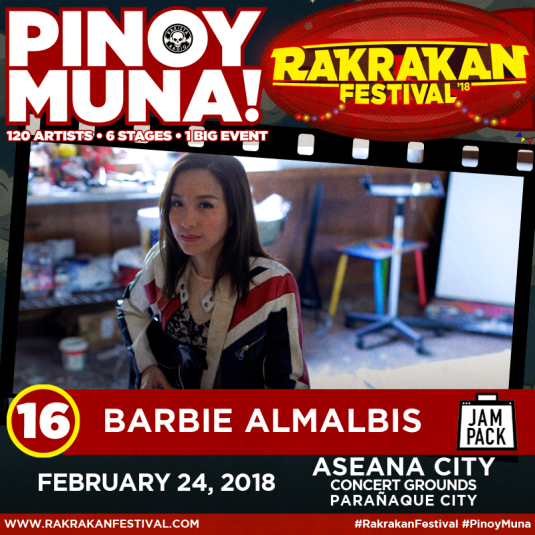 Festival-goers will find everything here from tees and tank tops to shorts and jeans, jackets, socks, jewelry, footwear, artworks, sunglasses, pins, caps, toys, and plenty of other goods at very affordable prices! 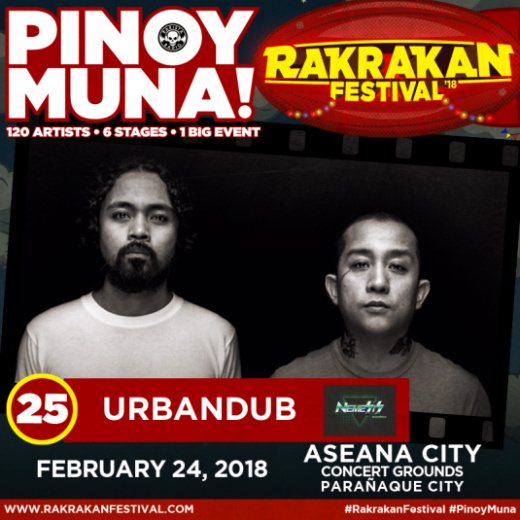 - giant inflatable rides, face painting and henna tattooing, brand-sponsored games, and artist meet-and-greet (for VIP ticket holders) will be there to complement the whole festival experience. 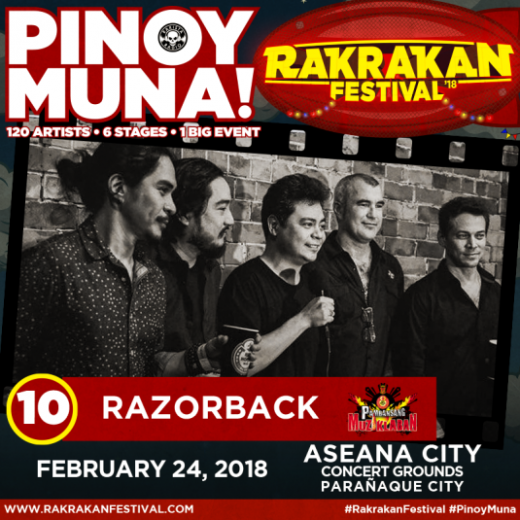 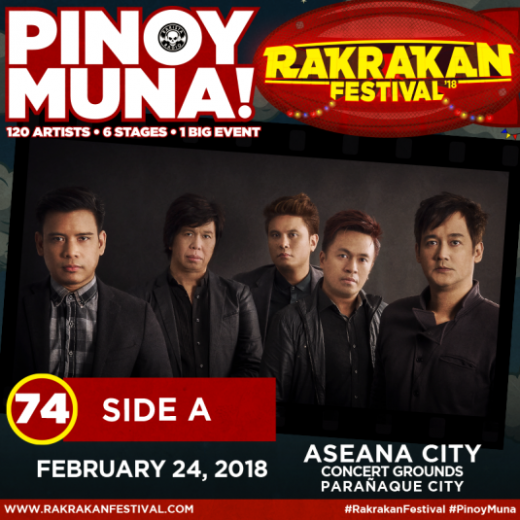 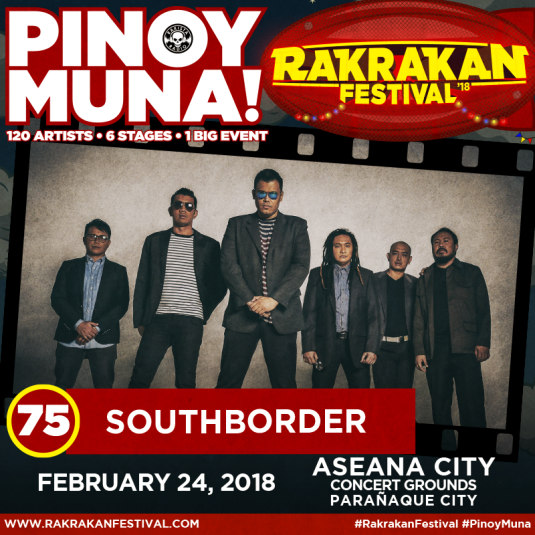 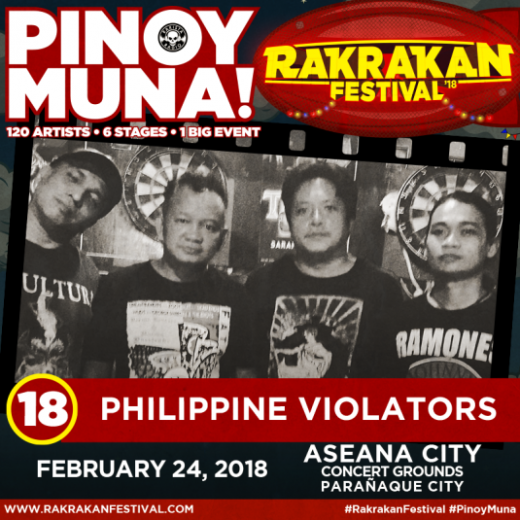 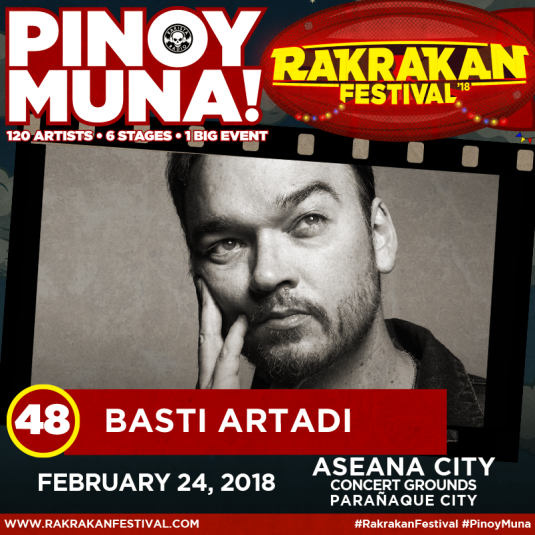 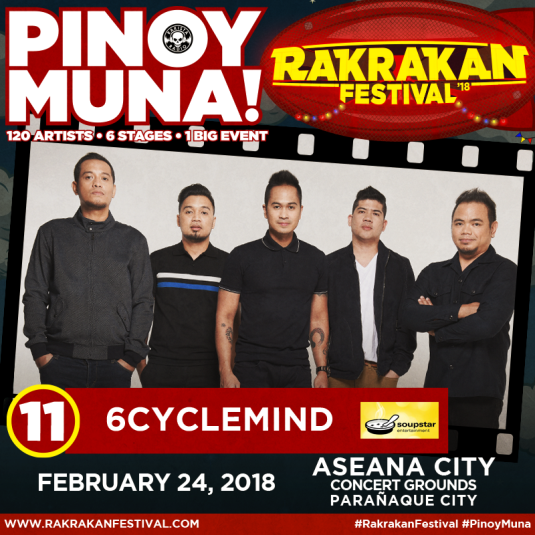 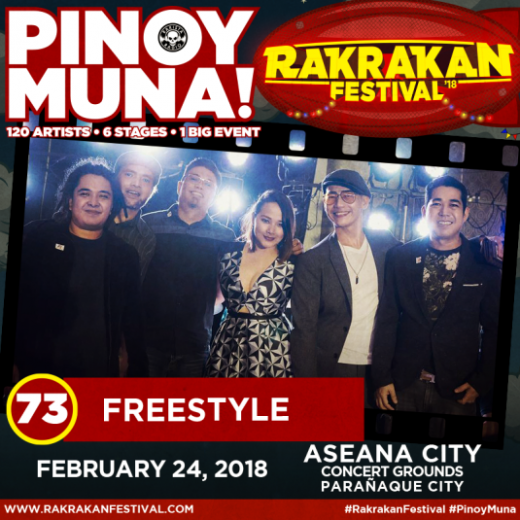 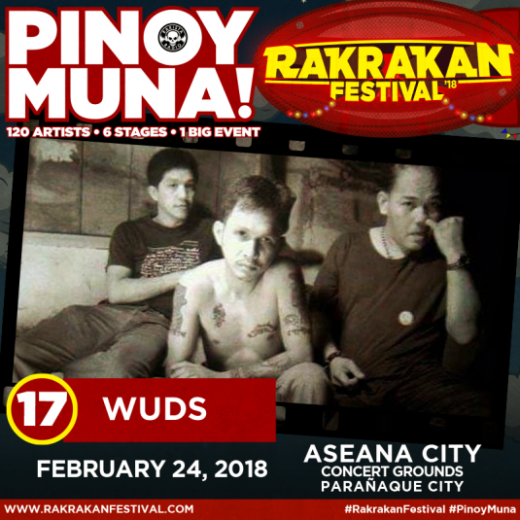 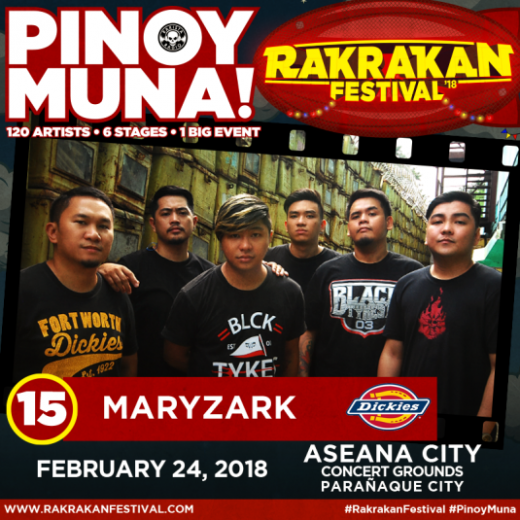 “Rakrakan Festival 2018: Pinoy Muna!” is Presented by Red Horse Beer and Rakista Radio; Co-Presented by Dickies and Aseana City Concert Grounds; Sponsored by Hotel Sogo; and Supported by Warner Music Philippines. Visitthe Rakrakan Festival website for more details.